Founded in 2008 Airbnb was designed to bring together those who have a space to offer up for accommodation and those looking for that somewhere special, handy, or perhaps a little different to stay. Ten years on, Airbnb has proved to be extremely successful, offering over 5 million places to stay, in over 81 thousand cities, and 191 countries! Not surprisingly, since it is an incredibly popular destination for thousands of tourists every year, Airbnb has a great selection of accommodation available in and around the Whitby area. Many of the places offered are not available or advertised elsewhere. There are cabins in the middle of nowhere, rooms in cosy family homes, apartments, bed and breakfasts and much, much more. Here are just a few that we would recommend. Fernbank is a lovely and comfortable Victorian home situated five minutes away from the hustle and bustle of the town centre. It has views overlooking the gorgeous Pannett Park and a great hub for exploring all that Whitby has to offer. The room you will be offered within the house itself is a cosy and green relaxing Victorian space for one. There are coffee and tea-making facilities within the room as well as in the sitting room area with its comfy sofas, a gas fire, and TV. The bathroom is a shared space but located next to your room. Rated by previous guests as five-star accommodation, Fernbank has a no smoking, children, or pets policy and does not offer a breakfast. There is no private parking with the property but there are plenty of places to park close by. 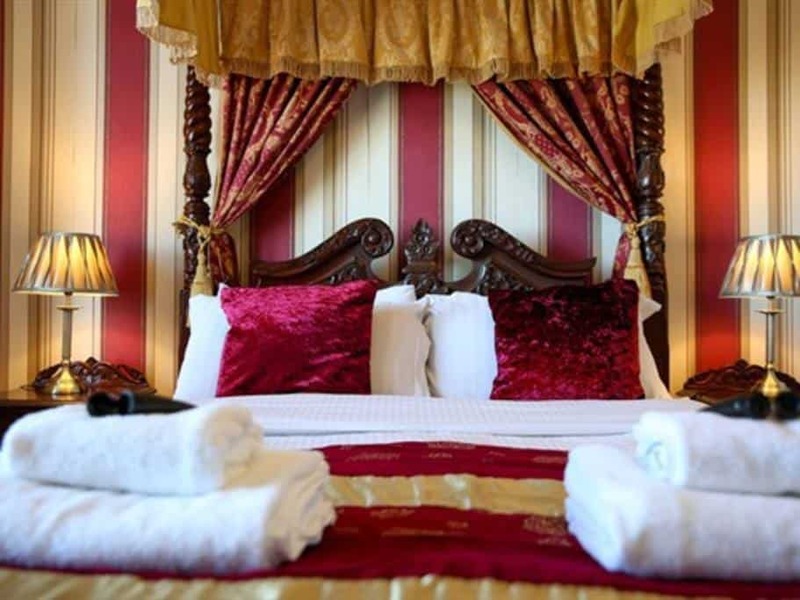 Located on the popular west cliff of Whitby is a family run guest house where your night of four poster luxury will take place. The house itself has stunning views over the North Sea and Whitby pier and is a stone’s throw from the town itself. Ensuite and decorated tastefully the four poster room on offer is situated on the first floor and has a large bay window with panoramic views from Sandsend to Whitby. There is a relaxing seating area here where you can relax and watch the world go by. Your room contains a flat screen TV with Freeview, a refreshment tray, complimentary toiletries, and large fluffy white towels. The bathroom comprises of a bath with shower over it and the room sleeps two. Full English breakfast is available at this venue as is free wifi throughout the property. Wildthorn House has been in the same family for over seventy years and has recently undergone a two-year restoration program to bring it back to its former arts and crafts glory. It has been restored to an exceptionally high standard with dark wood balustrades, beamed ceilings, and stunning furnishings. Situated between the North York Moors and Whitby, Wildthorn House is the ideal base for exploring all the area has to offer. It sleeps an amazing ten guests in four bedrooms and is five star rated by previous visitors. Inside the property, there is a large kitchen diner, a dining room, comfortable lounge, walk-in shower room, and of course four bedrooms. Outside is a large, spacious garden with seating, BBQ, and plenty of space for children to play. 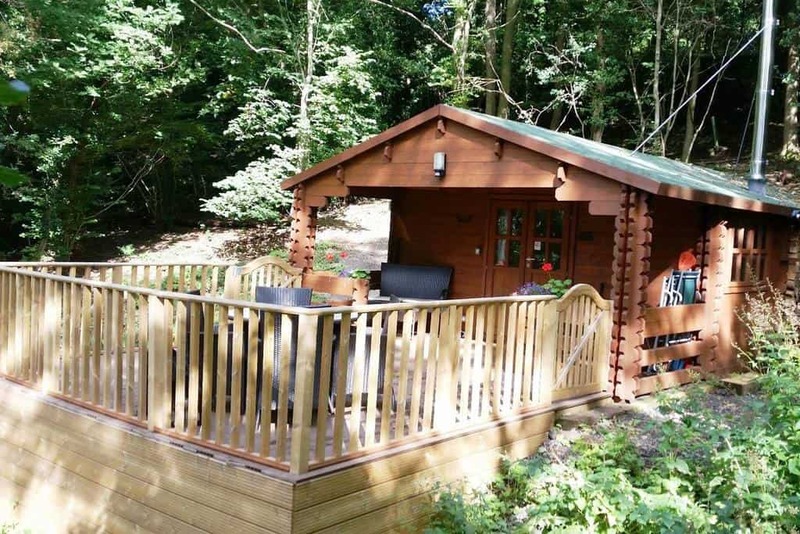 Who wouldn’t love to vacation in their own little log cabin with two acres of woodland and stream just for them? Noone would be my guess, and which is why the newly built log cabin has proved to be so popular with Airbnb users. Here, not only can they enjoy peace and quiet but also a plethora of wildlife such as deer, badgers, and a large variety of birds. Within the log cabin itself, there is a well-equipped kitchen, lounge and dining area, shower room, and four bedrooms. There is a log burning stove to keep you cosy and the walls, floor, and roof have all been insulated too. Please note there is no wifi available at the log cabin but the mobile phone coverage is good. Dogs are welcome at the log cabin and stay free of charge. They will love roaming the woodland area which is full of oak, ash, and sycamore trees to sniff and explore. Being situated within the North York Moors National Park the log cabin is also a fabulous place to explore from. This seaside bed-and-breakfast located on the Cleveland Way and fully beach themed is a great place to use as a base to explore the town of Whitby. They are offering a lovely and cosy single room next door to a guest bathroom and with a tasty full English breakfast in the mornings. Your room at the bed-and-breakfast has luxurious deep pile carpets, miracoil sprung mattresses for a good night’s sleep, and even a hot water bottle to keep you cosy on chilly winter nights. There is also Freeview TV, books, and maps for your entertainment. Seashells has panoramic sea views, is a twenty-minute glorious walk from Whitby town centre, and cannot cater for dogs. They are family run and offer a warm and friendly welcome to all their guests. Check out this lovely place here! This unique one bedroomed studio located on the riverside is ideal for a romantic getaway or quiet cosy break for two. It has a kitchen, living, and dining area, a bathroom with shower and bath, and one bed. No dogs or children are allowed at this venue but it does have private parking. Part of Chainbridge Riverside retreats the boatloft is situated just two miles from Whitby in the small village of Ruswarp. It overlooks the River Esk where you can take boat trips, or even go fishing for salmon and sea trout. Should you feel less like being energetic the boatloft is also a great place to relax with riverside seating areas and a great cafe where you can enjoy a beverage or two. Last, but certainly not least is the glorious but spooky house of Nevermore. This is a private family home that has decided to offer one of their bedrooms to passing travellers or perhaps vampire hunters! Situated in the heart of Whitby Nevermore describes itself as ‘a unique haunted house’ with a comfortable and gothic style. The bedroom you will be occupying is furnished with a king size bed, black canopy, 50-inch plasma wall mounted TV, and all the horror/B movies you can watch. Nevermore is waiting for you! Loving all these must-visit places in Whitby? Pin them!